Once you receive samples you ordered from a supplier, or if you’re looking to sell products you have around the house through FBA, you’ll want to send them to one of Amazon’s fulfillment centers. In order to do that, we need to create a shipping order within Amazon’s seller dashboard. If you don’t have an Amazon seller’s account set up yet and you’re unsure how to do so, my article on creating a listing on Amazon should help you out tremendously. Go to “Manage FBA Inventory” under the “Inventory” tab in your Amazon seller dashboard. Next, click the checkbox to the left of your product, click “Action on 1 selected” above the listing, then select “Send/replenish inventory”. Next, assuming your product is, in fact, an FBA listing all you’ll have to do is click “Send Inventory”. If you have to convert the product from Merchant-fulfilled to FBA you will be prompted to do so by Amazon. On the next screen, you’ll want to make sure the “Create a new shipping plan” option is selected along with the “Case-packed products” option as this is the option used when sending multiples of the same product. Once you select these options, click “Continue to shipping plan”. On the next screen, scroll down and you’ll see an area where we need to enter the number of units and the number of cases we will be sending. Since we’ll be sending our 10 samples in 1 box, enter 10 into the “Units per case” box and 1 in the “Number of cases” box. Once you fill all that out, click “Continue”. In the next section, Amazon asks you to prepare your products. 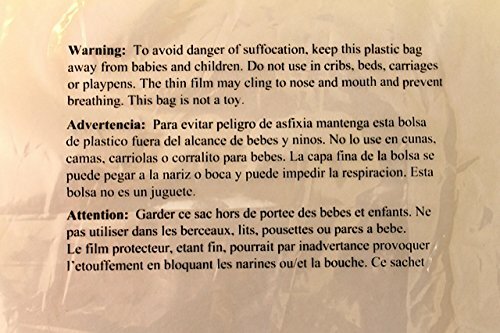 You’ll need to send each of your products in an individual poly bag with a warning label on it (here is an example). If you received your products from China and they were already in a poly bag, you should be fine to proceed. Otherwise, just place the products in the poly bags that I recommend buying from my list of Amazon FBA tools. Once you finish preparing your products, click “Continue”. The next thing you’ll need to do is label your products. You have a couple of options here, you can either print them yourself if you have a label printer (I recommend using a DYMO Printer) or have Amazon do it for you. Having Amazon do it for you will obviously accrue some fees which can be viewed here. You can make Amazon label the products for you by clicking “Apply to all” under “Who labels?” and selecting “Amazon”. Click “Print labels for this page” and follow the instructions in the above video. Once you have your labels printed off, place them on the front of your product. If you want to test out the products to make sure they can then use a barcode scanner – this isn’t required but I always like to do this just to make sure they can be scanned once they reach Amazon’s warehouse. Click “Continue” when you’re ready to move on. On this next page, you can rename your shipment or just keep it at its default name – this is completely up to you. Click “Approve shipment” to move on to the next page. Your shipment should be created and you should be ready to print your shipping label! Click “Work on shipment” to be taken to the next page. You will now be given the choice to ship your products through UPS or FedEx. I personally always use UPS, but this is totally up to you. Under the “Shipment packing” section, select “Everything in one box” in the drop-down box located under the text “How will this shipment be packed?”. Next, you’ll need to input the shipment box’s weight along with the dimensions. If you haven’t already, fill your shipment box with your products and weigh your products using either a shipping scale or a regular scale. In my experience, this doesn’t have to be 100% accurate as long as it’s close to the weight range. As for the shipping box’s dimensions, you should see the dimensions on the box itself. In my case, I always buy my shipping boxes from Walmart and you can always see the box dimensions on the bottom right-hand corner. Once you’ve entered all of this information, click “Confirm” and you’ll be able to move on to the next section. Under “Shipping charges”, click the “Calculate” button to get the price you’ll be charged for shipping these products. Since we’re not shipping very many products, the shipping price will likely be low. Click the checkmark next to “I agree to the terms and conditions” and then “Accept charges”. You will be charged to your Seller account and have 24 hours to void the transaction if you decide not to ship the products for whatever reason. In the next section, click “Print box labels” to download the shipping label you will need to place on your box. Using your laser printer and shipping label paper, print your shipping label. DO NOT place the shipping label on the top of your box, instead place it on the side as this is where Amazon wants you to place it. If your box is too small to fit the label on, you may need to either trim it down or just get a bigger box. Once you’ve got your box labeled, click “Complete shipment” and all you’ll have to do is drop your box off at a UPS/FedEx store. Once your products have arrived at Amazon’s warehouse, you will receive an email notification and your products will be added to your inventory. It may take a few business days for the products to both arrive at the warehouse and be added to your inventory. When you’re ready to move on to learning how to get your first sale on Amazon, read my appropriately titled post “How to Make Your First Sale on Amazon FBA“. Thank you very much for the detailed explanation. I do have a question however, when using ups as a carrier, should i use the adress of the ups destination im dropping off the packages in the “ship from” box in the send/replenish inventory section?. This point is still very unclear to me… If I select the destination i want to ship the inventory from (In my case my house in Tulum, Mexico) in the “ship from” box and use ups as the carrier will they pick up the inventory and take it to the fba wareouse in the usa? (this is where i want to send my inventory to). Again thank you for the help, wish you continued success. I just use my business address as the “Ship from” box as this is for if the mail carrier has to return the package for whatever reason. If you don’t have a business address, PO box, etc. then just use your home address. If you choose UPS as your carrier, all you’ll have to do is print off the label within the Amazon seller dashboard as shown in this post, place it on the shipping box, and drop it off at a local UPS.